Sports drinks are the savior of the exerciser. They replenish necessary fluids and help to reset your electrolyte levels, too. Hydration is important, because so much of the body is water—almost 80 percent of your muscles, for example, and even over 30 percent of your bones. 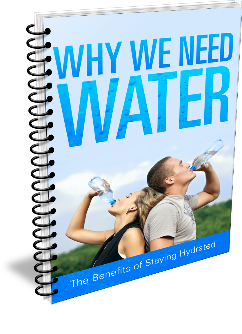 Of course, everyone’s water needs are different, based on your gender, your body mass, and your activity level—but water is life. That brings us back to sports drinks. They’re a flavorful, portable way for people to restock water, and they’ve become increasingly popular. But they’re also expensive—and something that you can make on your own, too. Most sports drinks are simply water, a little salt, and flavors—that’s it. You can add a little honey, for example, and change up the flavors as you prefer. So why is water important and how can you make these drinks at home? This graphic offers some ideas.